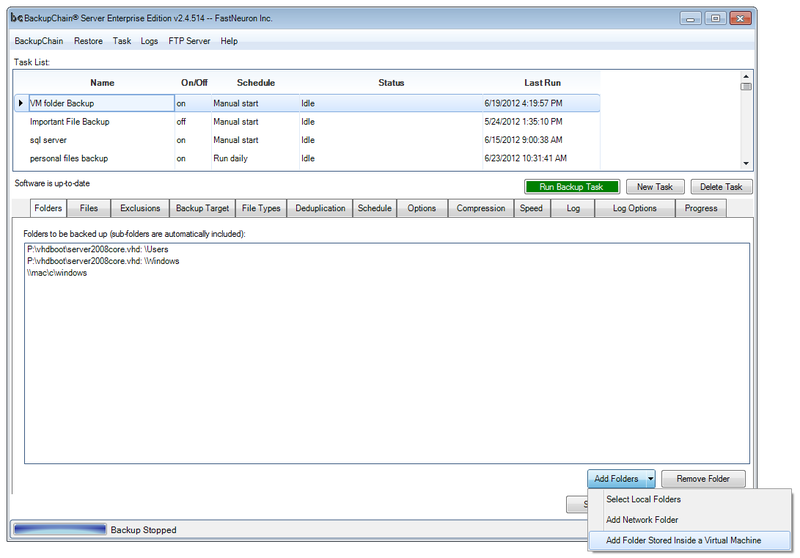 Granular Backups are great for saving money and time because you can access all VM files from the host without installing agents. 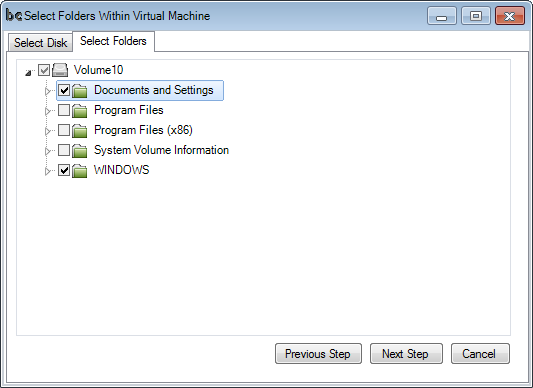 Note: to select individual files inside a virtual machine instead of folders, you need to start the same process in the Files tab instead of the Folder tab of BackupChain. 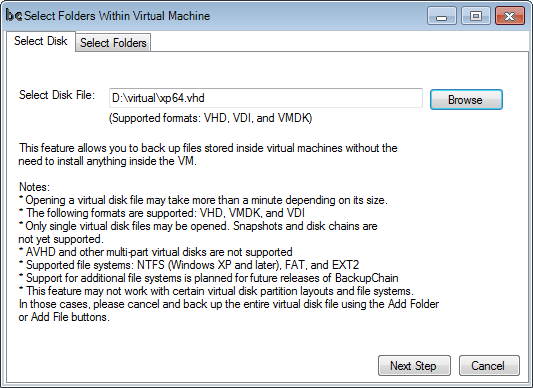 The same Granular Backup feature as shown above for Hyper-V (VHD and VHDX) also works on VirtualBox (VDI files) and VMware (VMDK files).